Posted on December 21, 2018 at 6:38 pm. 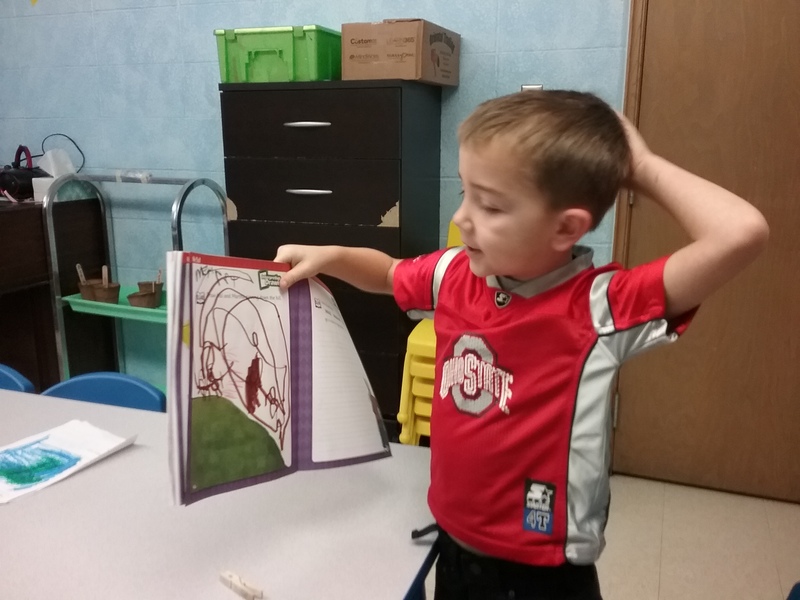 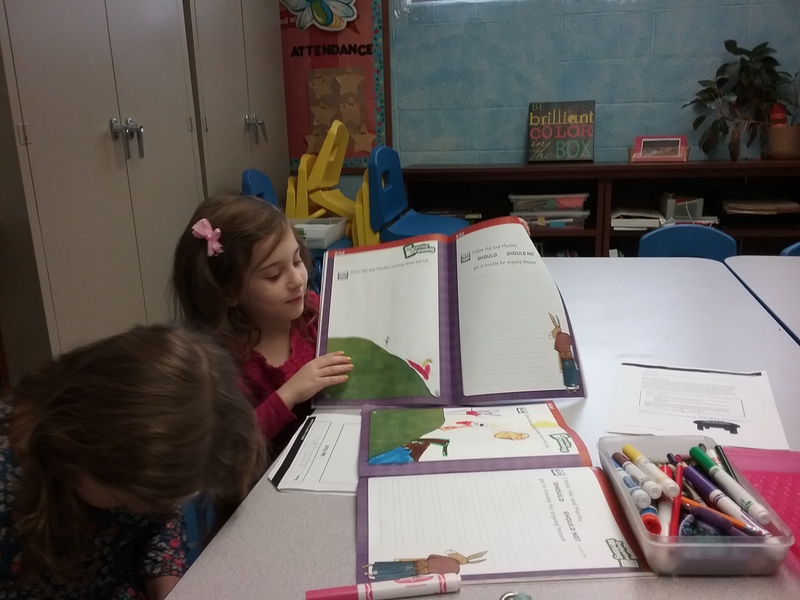 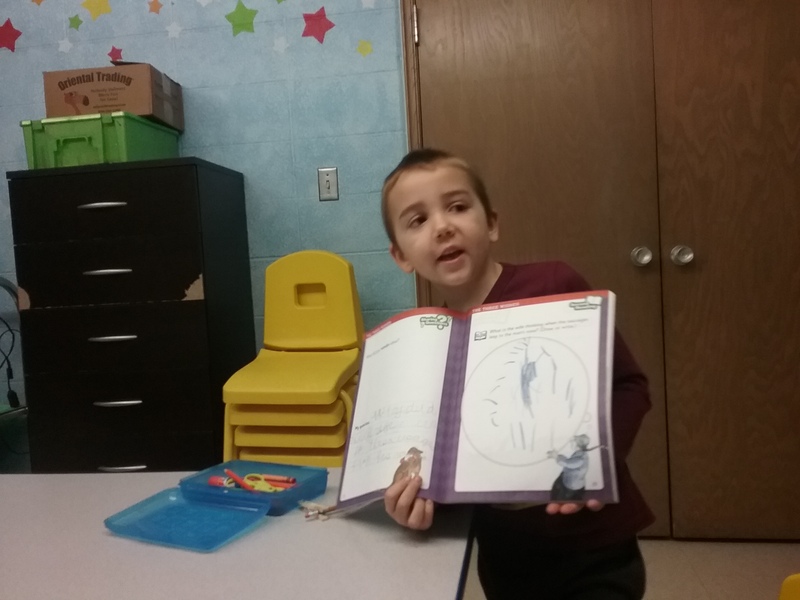 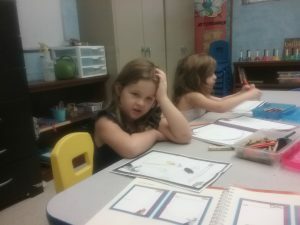 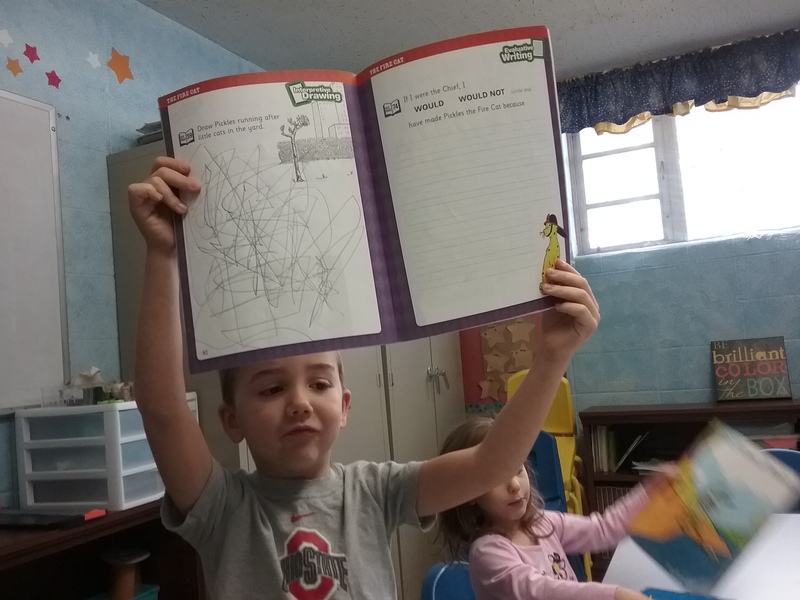 The kindergarten students have been working hard on learning different ways to solve multiplication problems. 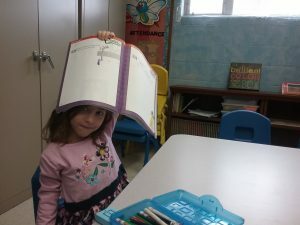 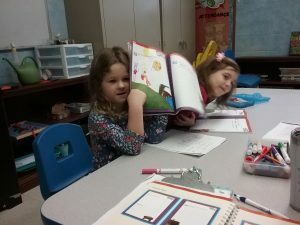 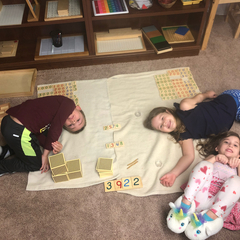 Below they are pictured using the multiplication bead board. 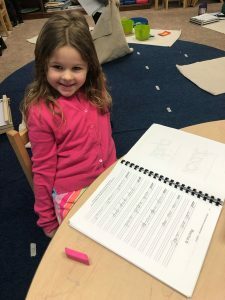 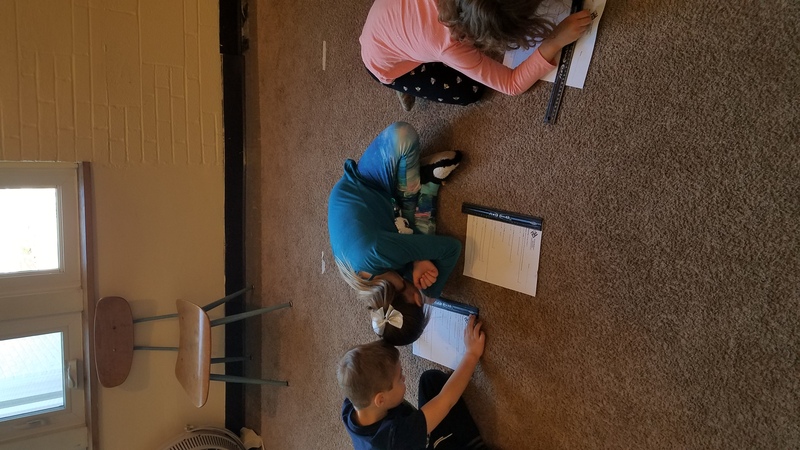 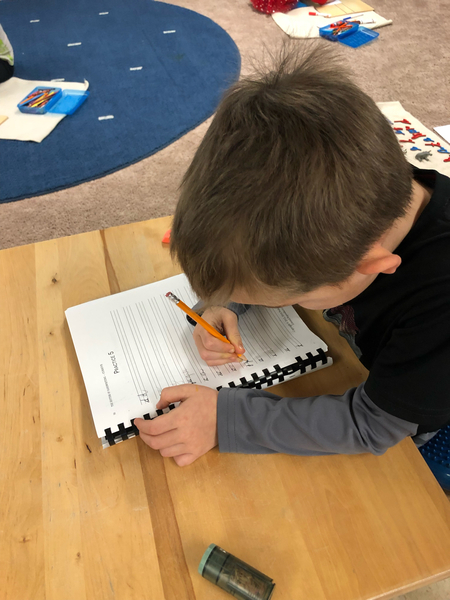 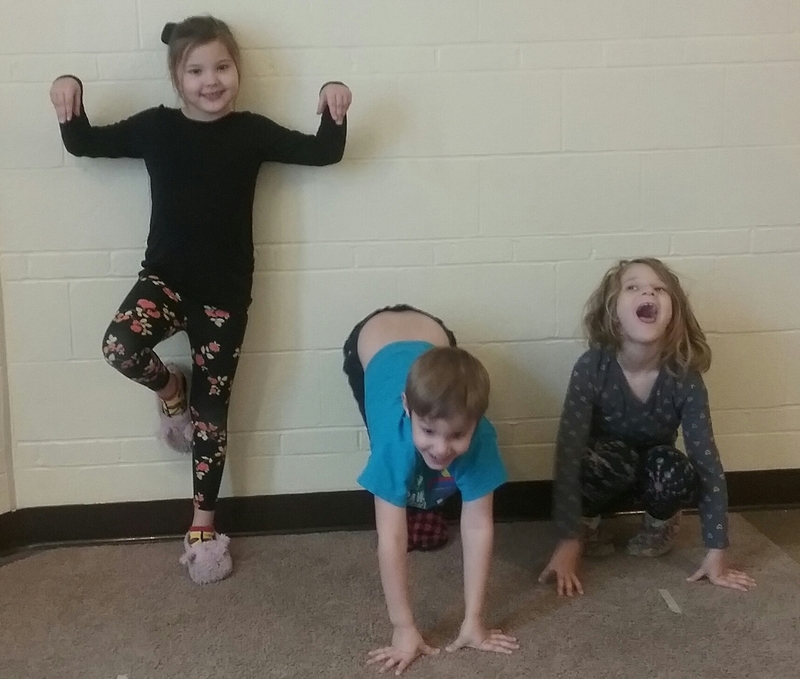 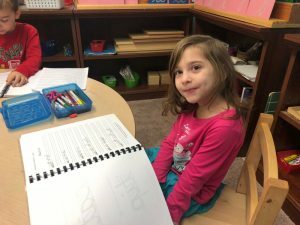 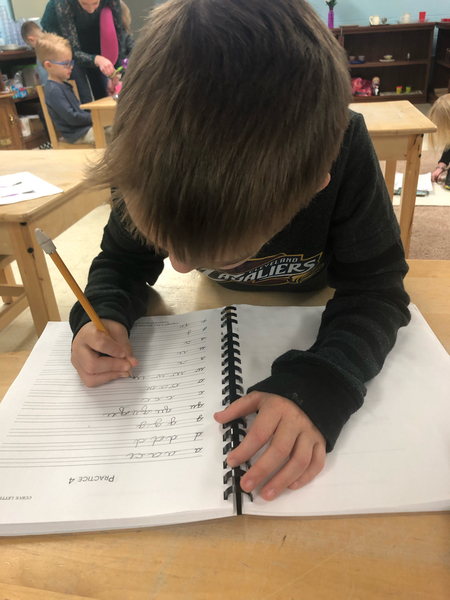 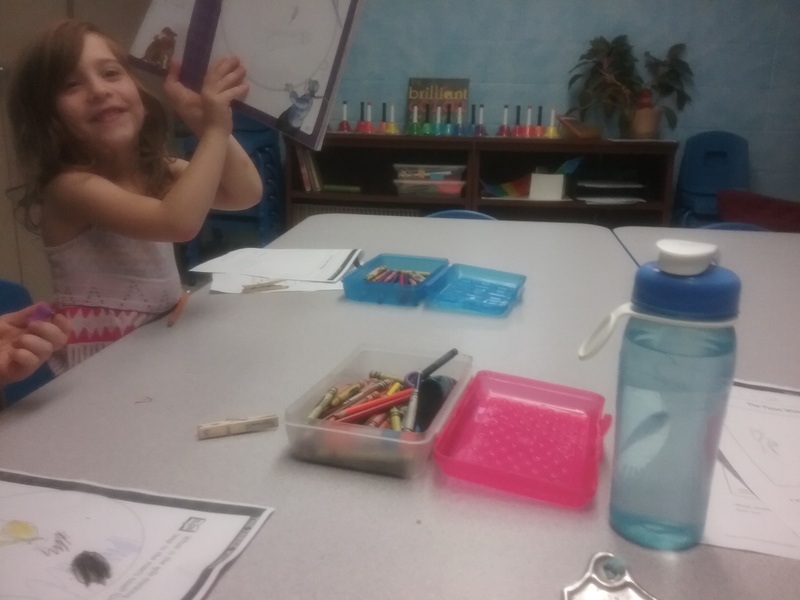 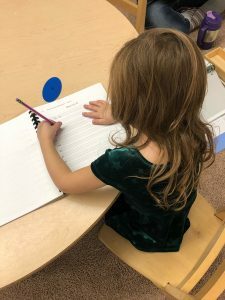 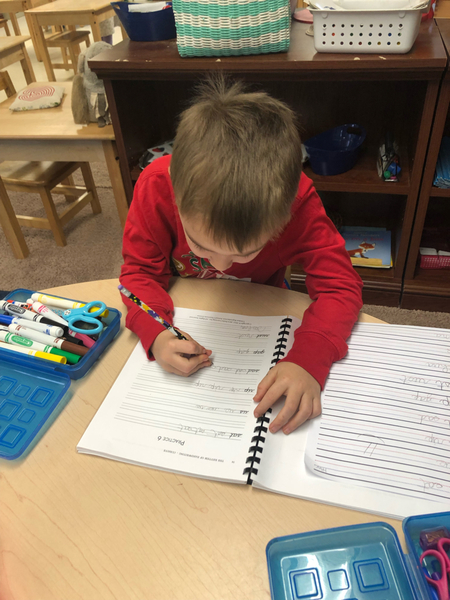 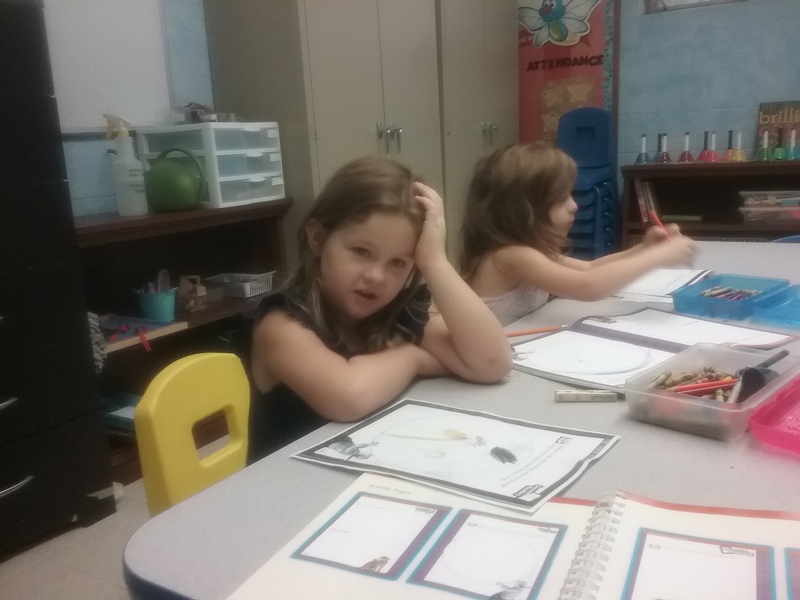 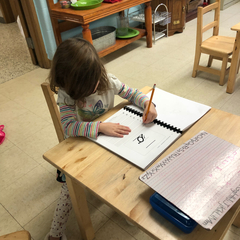 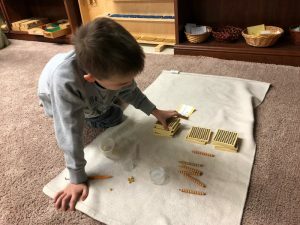 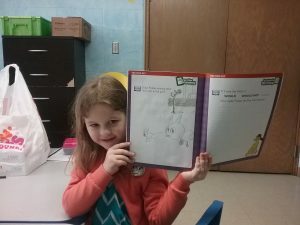 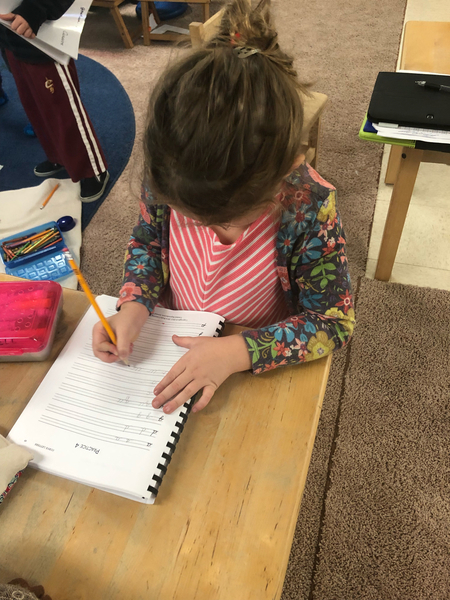 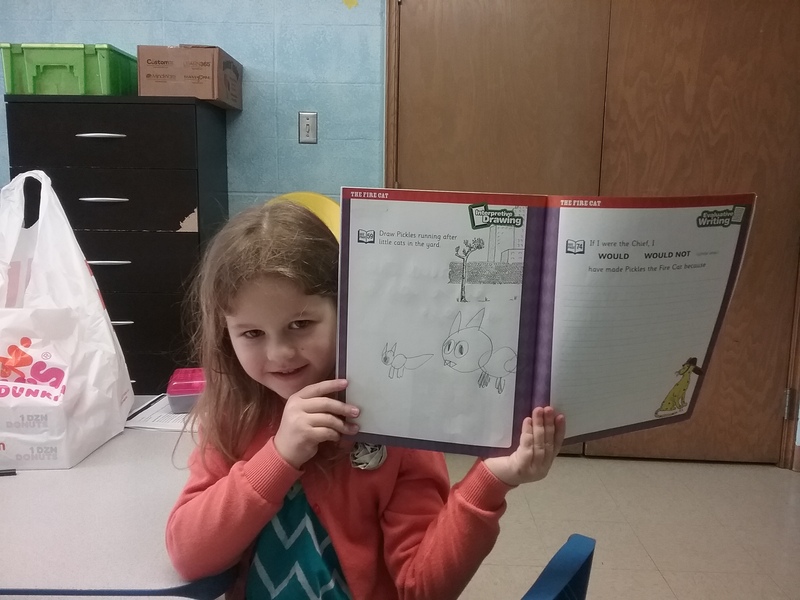 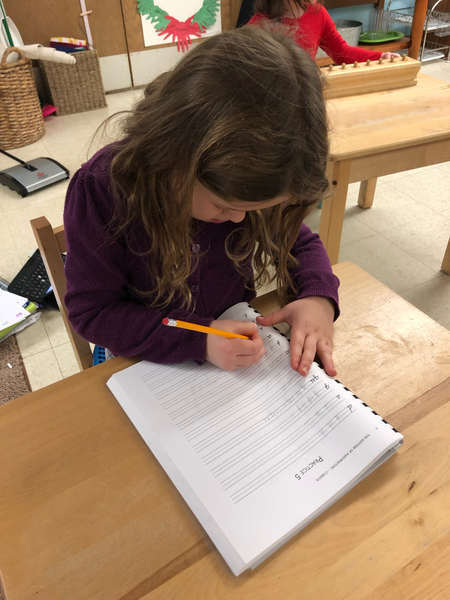 This work gives them the opportunity to practice multiplication in a way that will lead them to memorization of the essential multiplication tables. 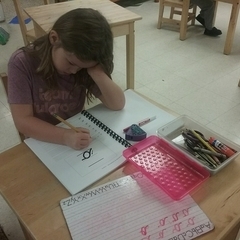 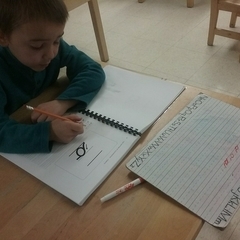 Cursive Handwriting: The students practiced writing the lowercase cursive words sat, us, rip, sad, gap and rust. 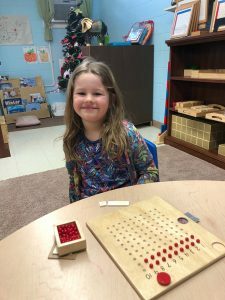 Posted on December 4, 2018 at 11:11 am. 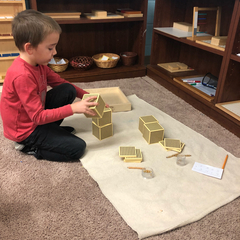 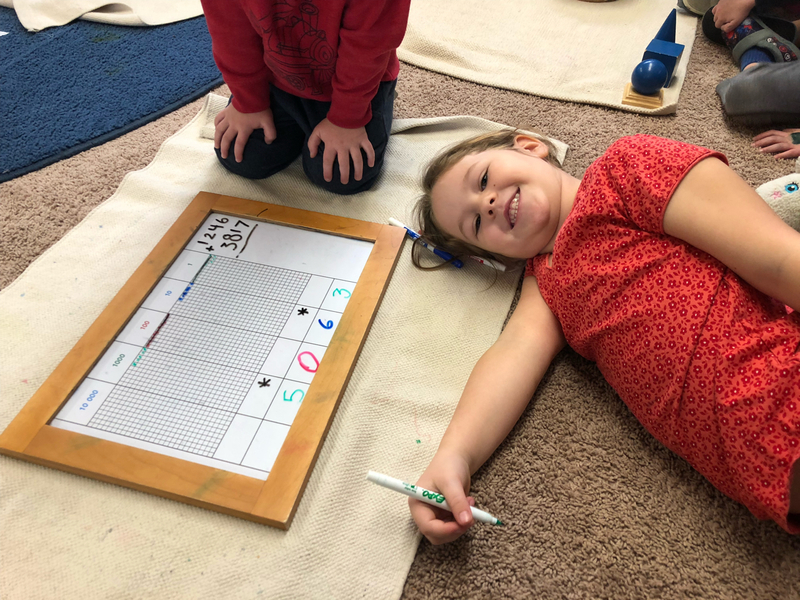 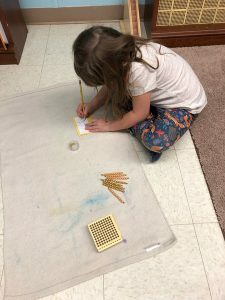 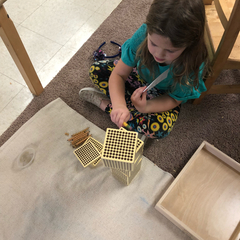 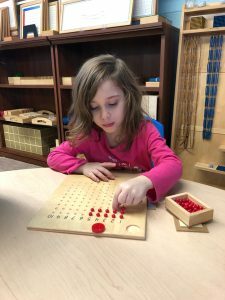 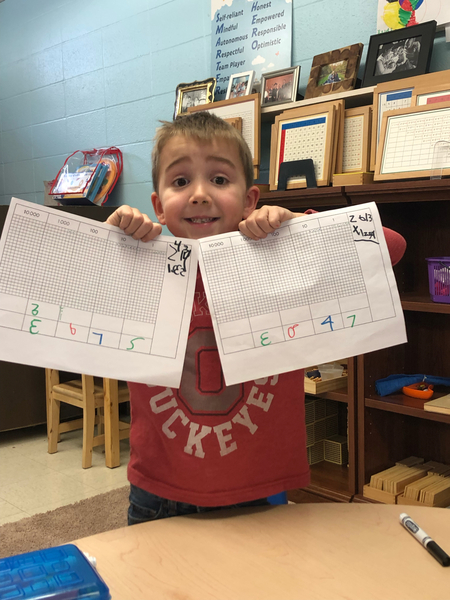 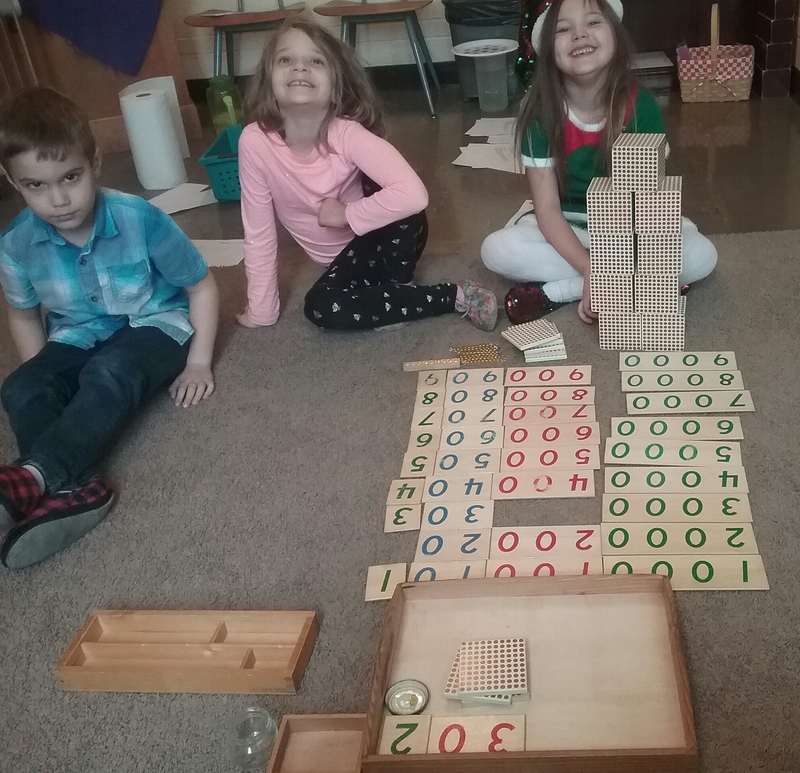 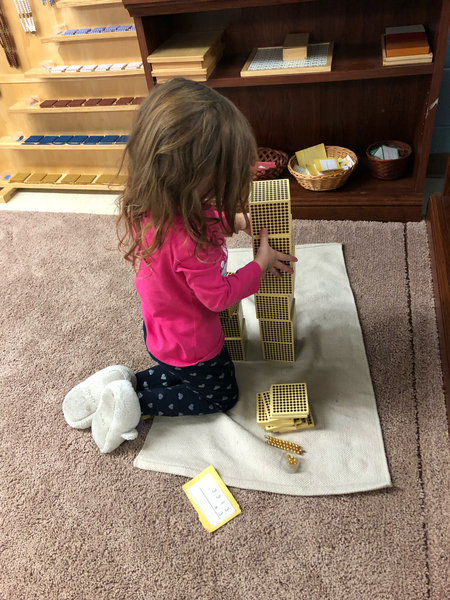 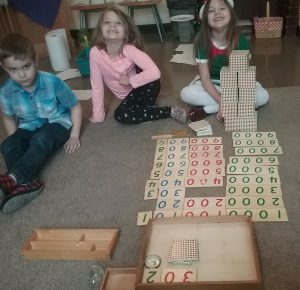 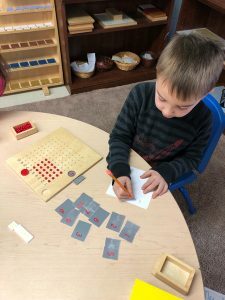 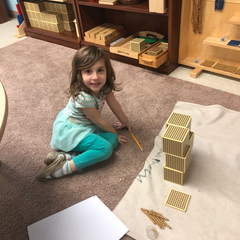 The kindergarten students have been working hard on learning dynamic addition and dynamic multiplication using the golden beads and the stamp game. This past week they were introduced to another work called the dot board to solve both static and dynamic addition problems.